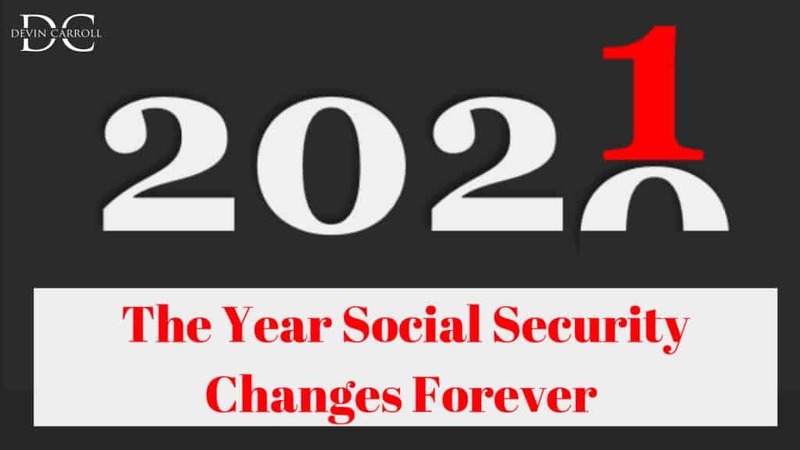 Social Security benefits are changing forever at the end of 2020. Once the calendar rolls over to 2021, you’ll never be able to get as much in benefits. Under the original Social Security Act of 1935, workers had to reach age 65 to receive a full retirement benefit. This “full retirement age” was actually simply based on the fact that many state pension systems and the Railroad Retirement Benefit system used age 65, so, the Committee on Economic Security – the group that designed the US SS system – decided to go with an age that was already commonly used. Just as a side note…they also considered using age 70, but ultimately decided that age 65 was more reasonable. The full retirement age didn’t change from the beginnings of SS all the way until 1983. (By the way, this was the other time in history where the SS trust fund faced a crisis and nearly ran out of money.) To keep this from happening, The NATIONAL COMMISSION ON SOCIAL SECURITY REFORM (which is more commonly referred to as the Greenspan Commission) made a series of recommendations to Congress about how to keep the program solvent for the next 50 years. One of their big recommendations was to increase the full retirement age to age 67. To make this change a little easier to digest, they recommended that the change only impact those who were more than 20 years away from full retirement age and that the change would gradually phase in over a period of 22 years. The first changes began by changing the age from 65 to 66. It stayed at 66 for 11 years. But now…it’s going up again. For those born between 1955 and 1959, the full retirement age will be somewhere between age 66 and 67. 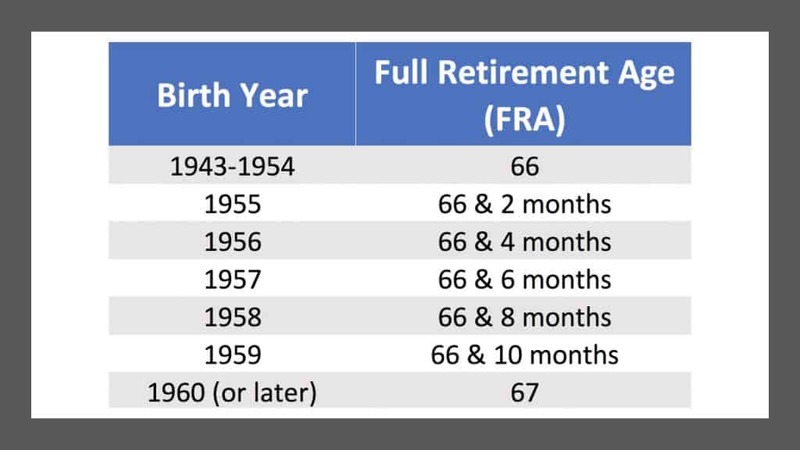 For everyone born in 1960 or later, the FRA will be 67 (for now). This takes us back to the beginning where I said that you’ll never be able to get as much in benefits in 2021 or later. Here’s why. 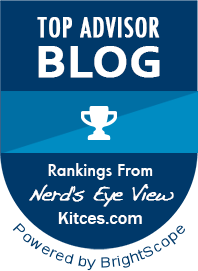 For years we’ve used nice round numbers when calculating the impact of filing for social security benefits early, or later. We’ve said if you file at 62 you’ll get 75% of your FRA benefit amount and if you wait until 70 you’ll get 132% of your benefit amount. NOT ANYMORE! Because the increases and reductions are calculated on a monthly basis, once FRA increases, there will not be as many months for benefits to increase by. The inverse will also be true, the reductions for filing at the earliest age will be steeper because there will be more months between age 62 and full retirement age. This is why I stress understanding how to calculate the reductions and increases on a monthly basis. Here’s how this changes the benefits and reductions if we look at filing at the earliest age and at the latest age. Currently, the SS filing window is between 62 and 70. You can’t file before 62 and it doesn’t make sense to file after 70. 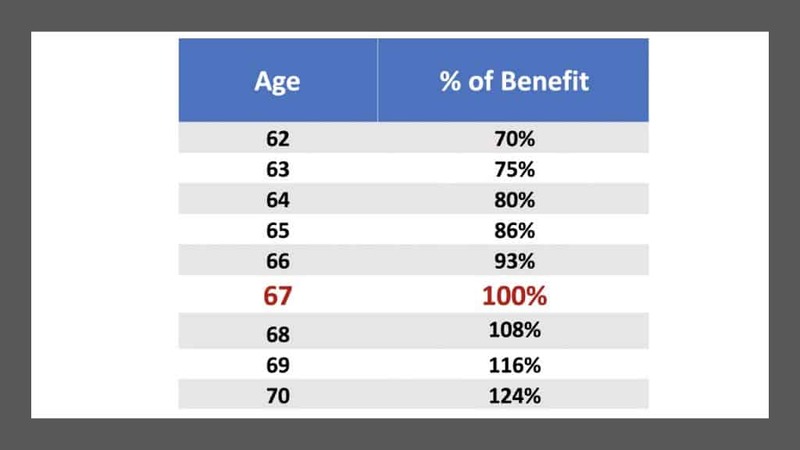 So, for those born between 1943 and 1954, the FRA is 66, you are entitled to 100% of your benefit. You can file as early as 62, but you’ll only receive 75% of your benefit. If you file at 70 you’ll receive 132% of your benefit. Once the FRA starts moving up, it all changes. Once the changes are fully implemented, you’ll still be able to file at 62, but you’ll only receive 70% of your FRA and if you delay…your benefit will increase to 124% instead of 132%. Many people just hope everything will work out in retirement. Sometimes it does, but sometimes a lack of planning can ruin what should be your best years. This is your retirement! Please continue to stay informed!